Home Health Rare Disease Birmingham Children’s Hospital puts the fun in fundraising in its fabulous Rare Disease Day event! I had a brilliant time in Birmingham yesterday at the Children's Hospital where they held a vibrant and fun-filled Rare Disease Day event. Roald Dahl's Marvellous Children's Charity was out in force with their rare disease nurses that they fund to support children and families. Dr Larissa Kerecuk launched BCH's Star Appeal to create a holistic children's Rare Disease Centre. They're aiming to raise £3.56 million - pocket change to many, I'm sure, but it would make a world of difference to thousands of children. Read more about the planned centre here. I gave a little talk about SEND education, after Happy Little Hugh blogger, Emma Murphy, spoke movingly about life with her son who has an undiagnosed rare condition. It was lovely to see Dr Larissa, Lauren from SWAN UK did a great job spreading awareness and the appeal was front and centre. It was also fab to meet another SEN blogger, Alison of Complicated Gorgeousness. Best of all was meeting with my friend, SNJ columnist and Patient Advocate, Renata Blower and two of her three fabulous young 'uns, Lilia and Dominic. Renata, if you recall, was instrumental in creating the first Undiagnosed Nursing Post for Great Ormond Street Hospital in London. Lilia kept busy with my camera and took some lovely photos, which you can see in the slideshow below. Please do donate to this amazing cause if you can. 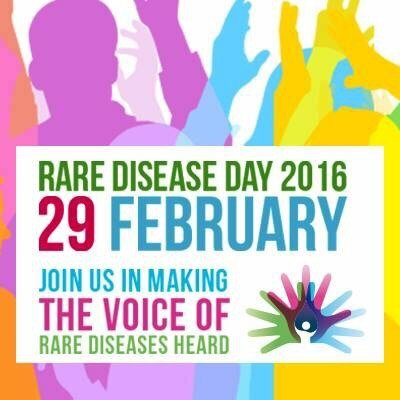 Look out tomorrow for my Top Tips when your child is diagnosed with a rare disease on SNJ on the rarest day of the year 29th February! Scroll through using the side arrows, enjoy the show and please share! Sounds like a great day and lovely to see so many of my fave people in one pic! Great work team.